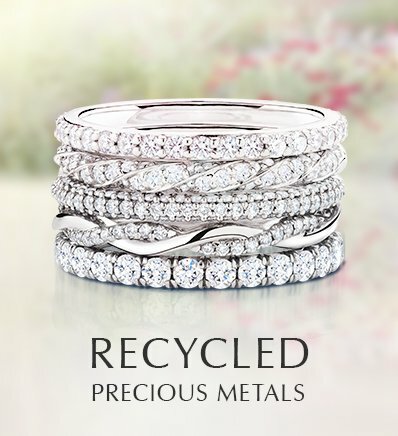 Lately, it seems like more and more engaged couples are thinking beyond diamonds when choosing an engagement ring. While diamonds remain the most sought after center gemstone, followed by blue sapphires, a growing number of brides-to-be are showing off more unexpected gemstones on their ring fingers. Opals, aquamarines, and sapphires in every color of the rainbow are some of the enchanting center gemstones on the top of these engaged ladies’ lists. If you love unique colored gemstones, in an engagement ring or for an anniversary or no occasion at all, you’ll love these vintage rings featuring distinctive center gems. Sapphires have long been a traditional choice for engagement rings. One of the earliest celebrity engagement rings, given by emperor Napoleon to his beloved Josephine in 1776, featured a pear-shaped blue sapphire alongside a pear-shaped diamond. These days engaged couples are choosing sapphires in just about every color of the rainbow, including yellow, purple, green, and orange. 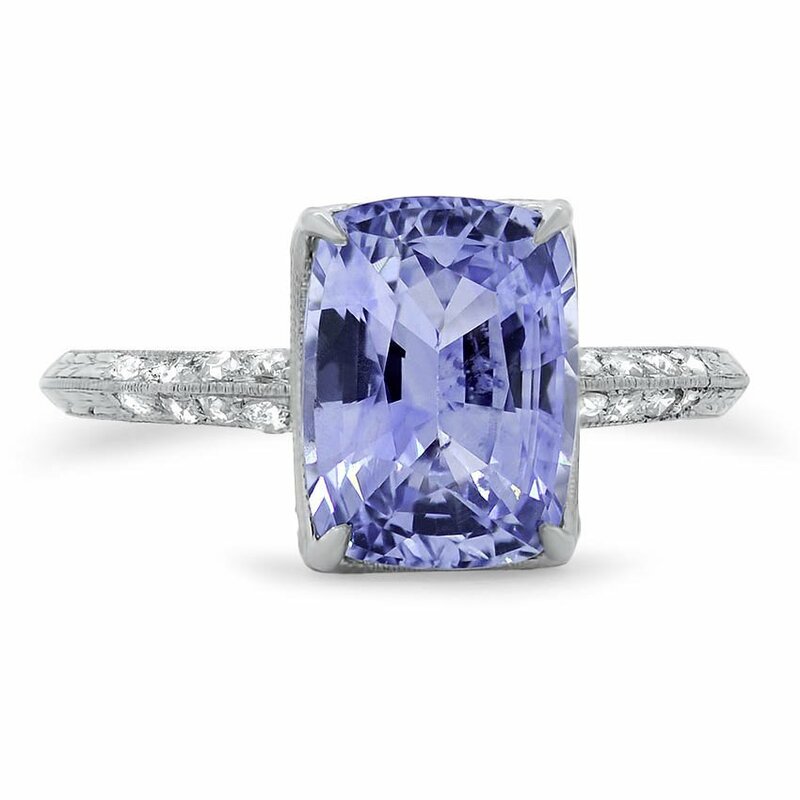 The Art Deco-era Bellerose Ring (above) features a breathtaking violet sapphire in a claw-prong setting, with diamonds adorning a knife-edge band. Aquamarines combine a timelessly beautiful blue color with a lovely transparency reminiscent of diamonds. 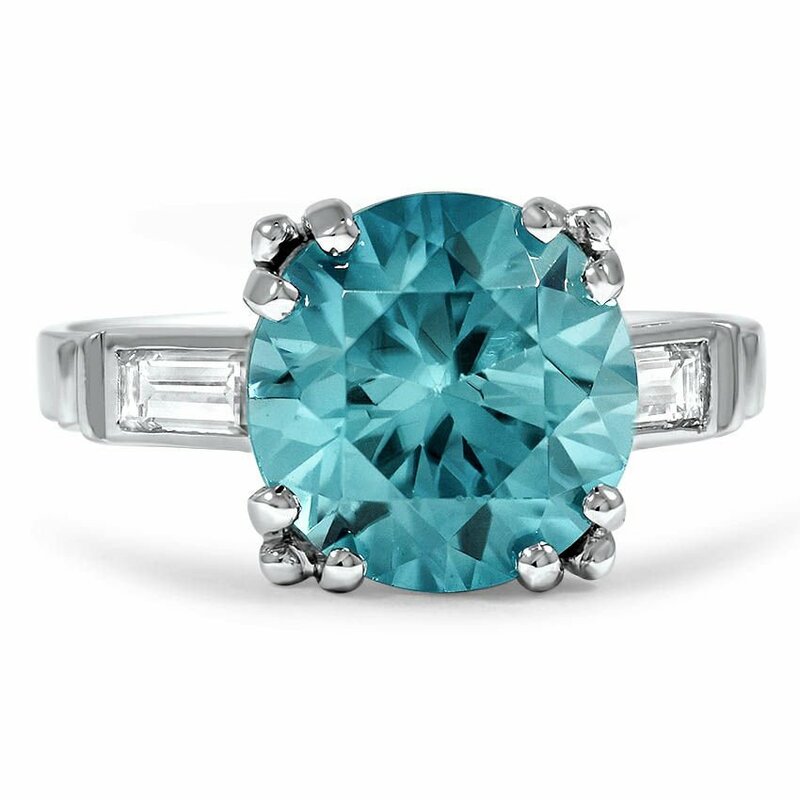 Aquamarine is the March birthstone, and it has been growing in popularity as a center gemstone for engagement rings. 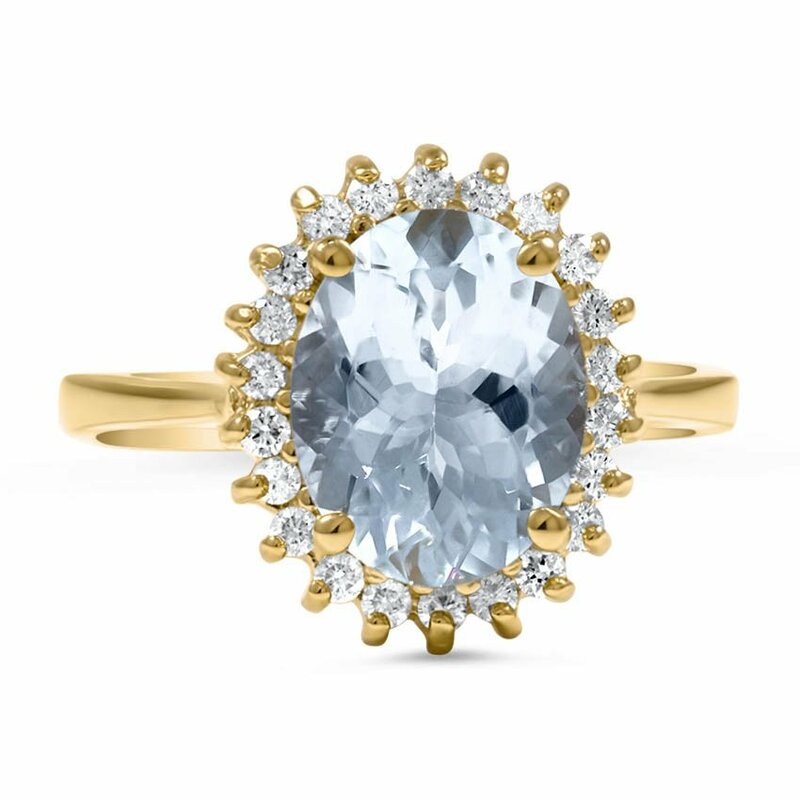 The modern estate Delora Ring, above, showcases an oval aquamarine encircled by a halo of glittering diamonds. With their many colors and the way they appear differently depending on the angle, opals are mesmerizing, and vintage engagement rings featuring the October birthstone have been especially sought after lately. Although you probably think of opals as being a creamy white color with pale blue, green and peach undertones, opals also occur in other hues, including deep blues and reds. 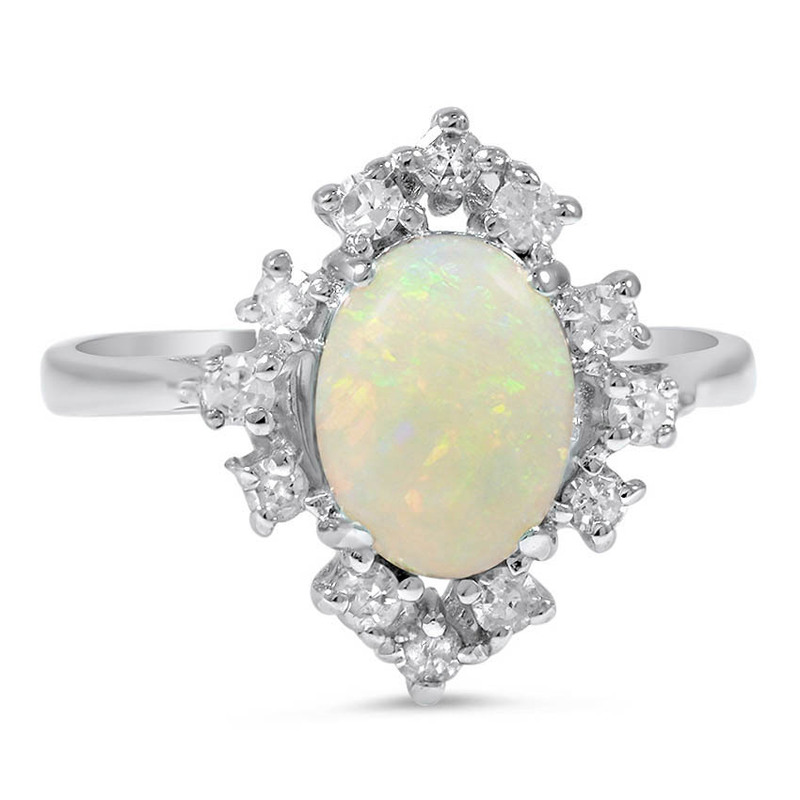 In the Retro-era Lakisha Ring (above) an oval opal cabochon is accented by a pointed halo of diamonds. Turquoise is imbued with symbolism by people around the world, from Native American tribes to Middle Eastern cultures. It has been said to offer the wearer protection from evil, though most people who wear it are drawn to its bright and beautiful shade of blue. 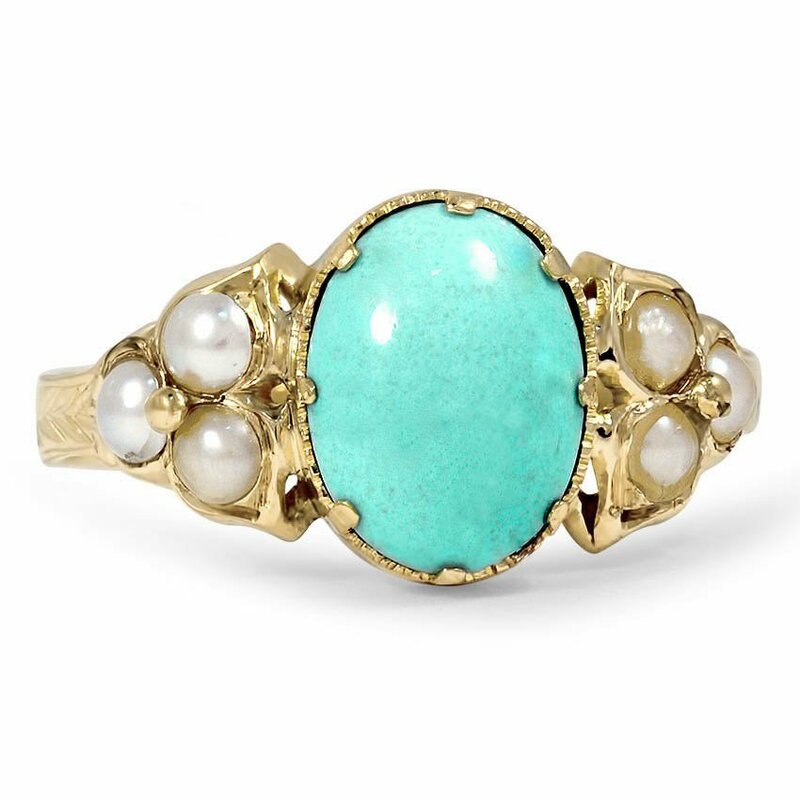 The Kourtney Ring, above, dates from the 1850s in the Georgian Era and features a lovely turquoise cabochon accented by six pearls. 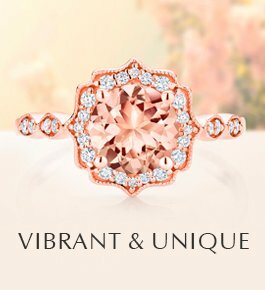 Found in nearly every color of the rainbow, zircons make an unexpected but beautiful choice as the center gemstone in an engagement ring. In the Art Deco-era Brigida Ring (above) a magnificent aqua blue zircon is set in platinum and accented by diamond baguettes on the shoulders. 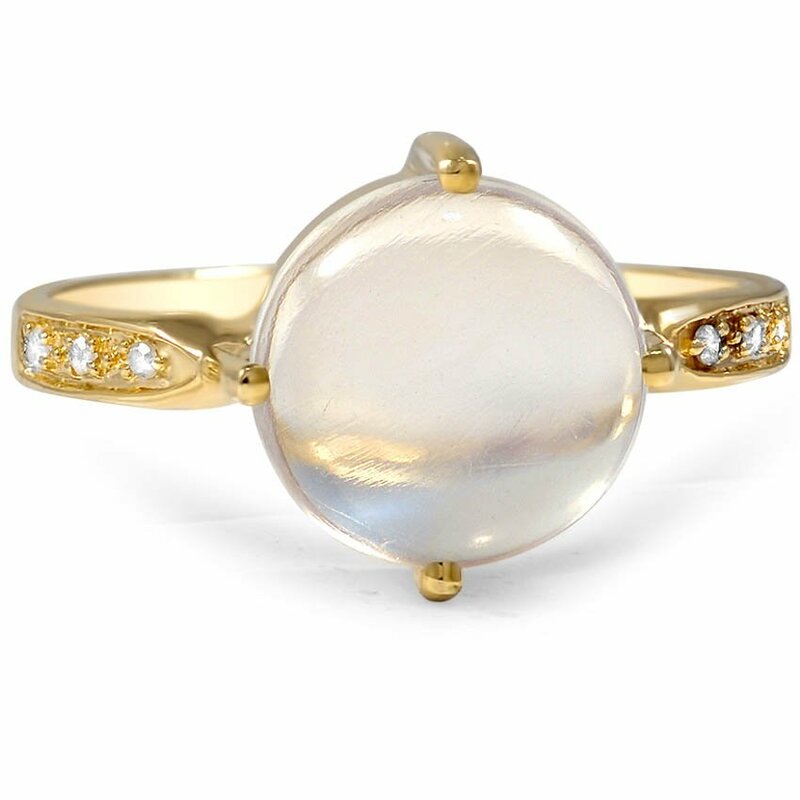 Another unconventional but increasingly sought after choice, moonstones have a dreamy and romantic quality. They are often seen in rings from the Art Nouveau and Art Deco eras, as in the 1920s Blossom Ring, above, which features a moonstone cabochon in a compass point setting accented by diamonds. Which of these distinctive, non-diamond engagement rings is your favorite? Let us know on Facebook or Twitter, or in the comments section. You can learn more about which vintage styles are most in demand today in our recent post Top Trends in Vintage Engagement Rings. Hi Diane, we currently do not have any tanzanite or zultanite gemstones available, but our jewelry specialists can often source special gems upon request, or provide similar options. 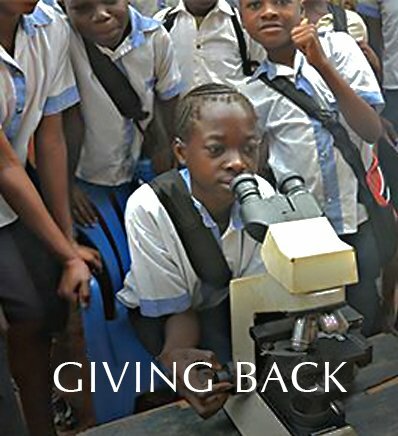 They can answer your questions in more depth via email (http://www.brilliantearth.com/contact/) or at 800.691.0952. Thanks for your interest! OMG..this is so beautiful ring,I think you should get what you want and will wear. 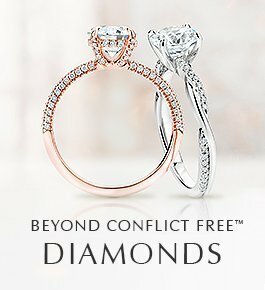 Both my engagement and wedding,thanks for showing this beautiful website.